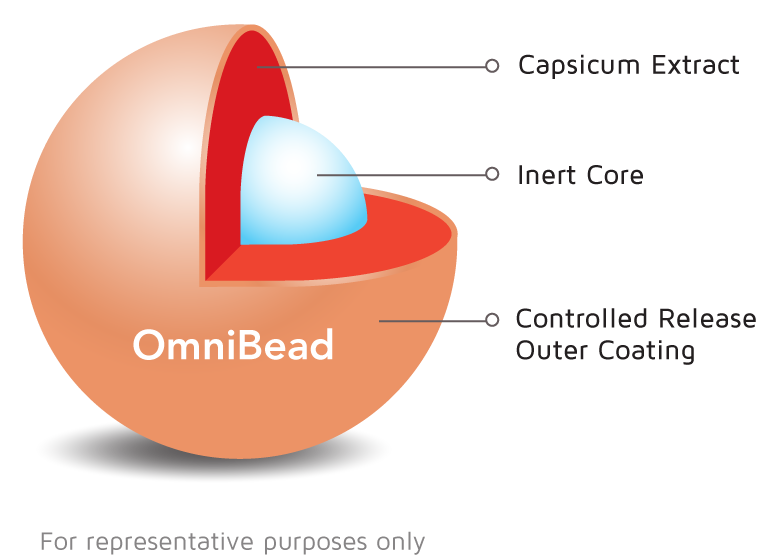 Proprietary Capsimax Capsicum Extract employs OmniBead Beadlet Technology – a patented “smart” coating system that encapsulates the beneﬁcial heat of concentrated, highly active, natural capsicum to deliver effective levels of capsaicinoids without the oral and gastric burning sensation of unprotected red hot peppers. Capsaicinoids are the bioactive and pungent principles in red hot pepper. 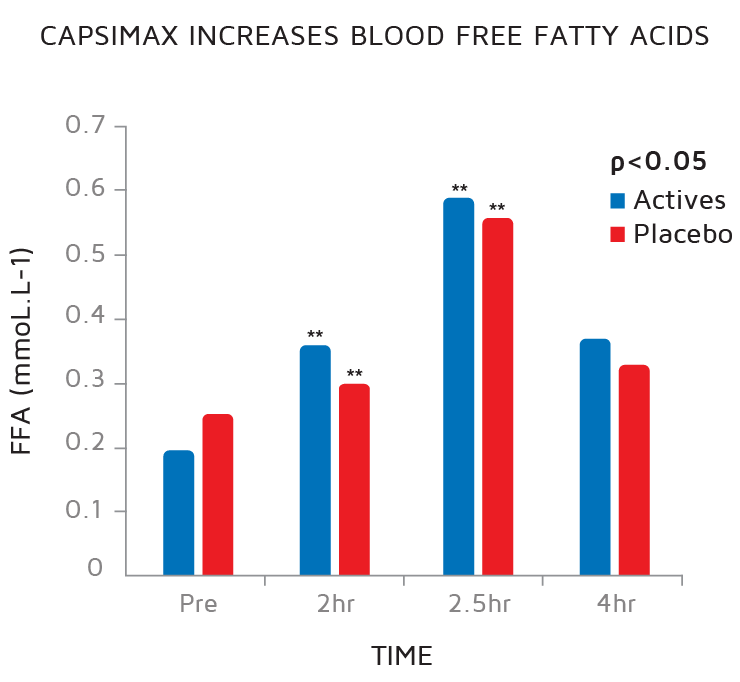 Over 90 human clinical studies with more than 1000 subjects of varying ages, body weights and populations have studied the naturally functional properties of capsaicinoids and draw the same conclusion - when used alone and/or in combination with other ingredients capsaicinoids support healthy weight management.1 However, to gain the beneﬁts associated with capsaicinoids from food alone one would need to ingest 10 grams of red hot peppers every day. Capsaicinoids are hot and consuming 10 g daily for their health beneﬁts can severely irritate the GI tract. 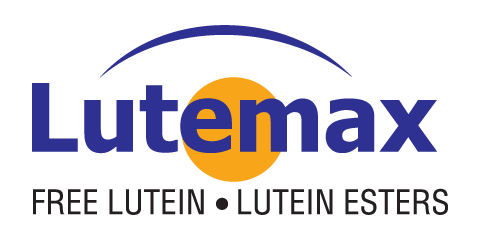 Unprotected capsicum extract is also difficult to handle in formulations and production, as airborne particles can irritate of the eyes, skin and respiratory system and may lead to cross-contamination during the formulating and manufacturing processes. 2. Bloomer et al. Lipids Hlth Dis, 2010.